As the St. Louis region’s startup ecosystem matures, the measurable successes of the companies are getting bigger and more exciting. 2018 milestones for startups include the formation partnerships with national companies as well as pivots and rebranding to reflect expanding breadth of services. Acquisitions and partnerships among startups last year represent the coalescing of complementary skill sets and offerings. Funding accomplishments for the year were the ultimate proof of concept, promising continued growth in 2019. NativeMsg, a conversational AI and chatbot platform tech company based in St. Louis and Chicago. In 2018, NativeMsg worked with Farm Journal Media and cell phone service provider U.S. Cellular to successfully deliver Rich Communication Service (RCS) messaging as part of a Google pilot to develop the new protocol. RCS, which represents the next generation of messaging features, is expected to replace the Short Message Service (SMS) protocol, which makes texting possible. 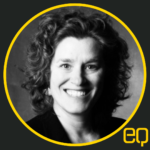 EPSi, health records vendor Allscripts’ budgeting, long-range planning, cost accounting and financial decision support platform, announced a partnership Ilerasoft, Inc. in 2018. The partnership will offer EPSi’s clients additional capital budgeting capabilities and will provide analytics to help improve operational efficiency around medical equipment use powered by Ilerasoft’s Efficiency Score. SafeTrek, an startup begun in 2013 as a college project to create an application that would guide college students back to their dorms at night, grew up in 2018 and rebranded to Noonlight. The new name better describes their expanding capabilities beyond the area of aiding first responders and into connected devices. Noonlight was chosen as a name to suggest the brightest sunlight, when everything is clearly illuminated and people feel safest. Noonlight also announced partnerships with Axon, a tazer company, Fossil, a watch company, and launched integrations with Nest smart home devices. 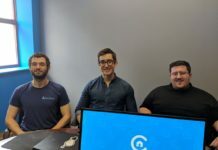 Fintech startup Gremlin Social, the only social media marketing solution endorsed by the American Bankers Association due to its ability to enable banks to engage with customers on social media without breaking compliance, acquired two companies in 2018. VidVerify is a video-based communication platform for mortgage lenders and Insight CRM (branded as Social IQ) is a SaaS solution for social media management. The strategic expansion is expected by its leadership to become the best-in-class social media marketing suite for companies in regulated industries. 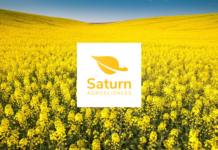 Benson Hill Biosystems, a crop improvement AgTech company operating out of 39 North, St. Louis’ AgTech and Plant Science Innovation District and the North Carolina Biotech Center in Research Triangle Park announced the creation of subsidiary Saturn Agrosciences in July. The new subsidiary will focus on canola-based products and was developed through a partnership with University of Guelph in Ontario, Canada for research with funding from the Canadian Government’s Genome Applications Partnership Program. Saturn Agrosciences will leverage Benson Hill’s CropOS platform combining big data with genome editing to promote efficiency and simplicity in canola development. Nvsted, which launched in April, is a licensed Regulation Crowdfunding platform which allows them to crowdsource up to $1 million in individual investments by non accredited investors per company in a 12-month period. They had an overwhelming response to first offering, WellBeing Brewery Company, the non-alcoholic beer company raising its maximum in less than 90 days. 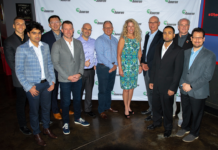 Epharmix quietly raised an additional $1.9 million in May 2018, taking it to $4 million total capital raised according to the St. Louis Business Journal. 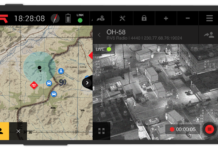 Coolfire Solutions, creators of a situational awareness delivery platform, announced $11.5 million in an oversubscribed Series B financing in October. The raise builds on a year of achievement for Coolfire which saw a growing list of customers, platform upgrades, and expansion of its partner program. The St. Louis-based software company plans to use the funds to aggressively accelerate sales, marketing and product development for commercial industries. Clever Real Estate, a tech platform that connects home-sellers with top local real estate agents who help sell their home for low fees, closed $1M in bridge funding with the help of Cultivation Capital’s Spirit of St. Louis Fund in November, bringing the St. Louis startup’s total financing up to $1.5 million. The company completed a $500,000 seed round in April 2018. In December, SwipeSum, the first merchant-centric online credit card processing marketplace, announced that it raised $1 million in funding from notable angel investors in St. Louis. After completing SwipeSum’s online consultation, businesses save an average of 55% on credit card processing fees. 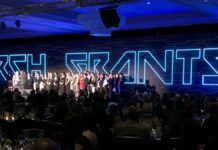 NASA, announced its selection of Applied Particle Technology, LLC from St. Louis, Missouri, “>as the $100,000 grand-prize winner of its Earth and Space Air Prize Competition in December. Applied Particle Technology specializes in air quality sensors and air treatment systems for environments that require high efficiency removal of aerosols. 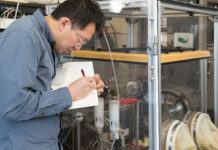 Competing teams were asked to develop robust, durable, inexpensive, efficient, lightweight, and easy-to-use sensors to detect tiny airborne particles, known as aerosols, and monitor air quality for space and Earth environments.